A while ago I was exploring the blogosphere and I ran across a blog called Chic Provence, written by Kit Golson. Kit is an interior designer whose body lives in California but whose heart and soul reside in Provence. 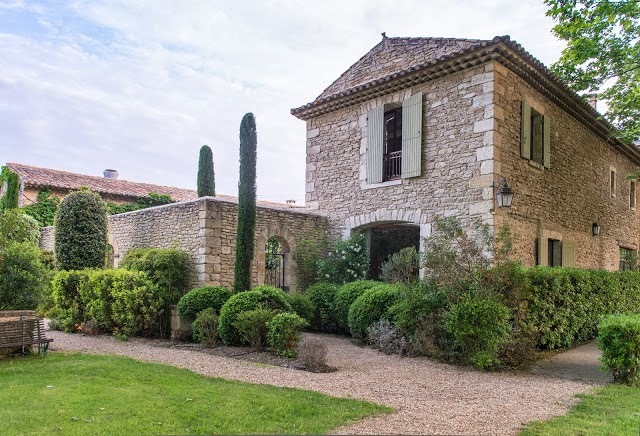 Every year, in May, Kit takes a few lucky people on a "design tour" in Provence that includes staying in a gorgeous Provençal bastide*, sightseeing, shopping, relaxing, and lots of great food and wine. There is nothing like visiting Provence with someone who knows and loves the place, and Kit qualifies on both counts. She also has a designer's eye, a great sense of humor, and the soul of a hostess. So if your heart is aching for a trip to Provence, cherie, you should definitely look into Kit's 2014 design tour. * A bastide is a big, stone, French country manor - one step down from a chateau and one step up from its more humble cousin, the mas.